Is Your Atlanta Commercial Roof Prepared For Winter? Few business owners in Atlanta give much attention to the roof, however, it’s especially important with winter months coming on. Even though this region doesn’t typically experience extremely harsh winter weather, there are times when we get snow, sleet, heavy or freezing rain, and other weather that can be tough on the roof, the component of your building that protects everything underneath. You may have the highest quality, most durable roof your money can buy, but it doesn’t mean it’s beyond damage or weakness. Our Atlanta commercial roof installation experts have a few pointers when it comes to having your roof inspected to ensure it’s ready for whatever winter may bring. 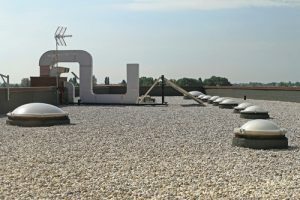 What should you expect from a commercial roof inspection program? Complete inspection of every aspect of your roof including drains, walls, flashing, gutters, etc. A complete report detailing your roof’s condition, along with photos and recommendations for any repairs that need to be made. Preventive maintenance planning so that your roof is inspected and maintained on a regular basis to avoid roof failure, an OSHA compliance review, and an energy efficiency evaluation. Removal of debris in order to inspect roofing membranes and provide unrestricted drainage. It’s vital to make any repairs to damage before winter strikes. In doing so, you save on the potential costs of major damage that can result from harsh weather or the freeze/thaw cycle. Extend the life of your roof and ensure it’s as efficient as possible by scheduling an inspection. You will enjoy peace of mind in knowing that not only are your building and assets protected, but your employees and patrons as well. Kelco Roofing is one of the most trusted commercial roofing companies in Atlanta, having provided installation, repair, and maintenance to clients for more than 40 years. When it comes to your roof, never settle for less than the best.